Livity Africa is a South African youth media agency that develops multi-platform content for young people, all produced by young people aged 18 to 25. In addition to creating their own content, this organization is also highly committed to educating the next generation of media makers. Indeed, individuals accepted into Livity’s internship programs are mentored by a team of industry professionals, taught valuable digital media and marketing skills, given a solid sense of the working world, and assisted in securing jobs in the media industry. Specific areas in which they receive training include journalism, design, video, photography, marketing, and PR. 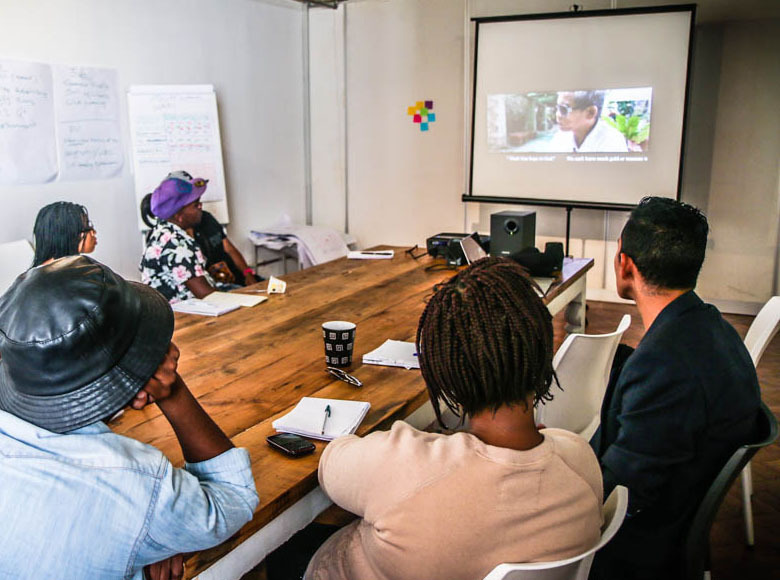 This past month I had the opportunity to facilitate one of Bent Marble’s documentary workshop series with an extremely bright group of interns at Livity’s offices in Braamfontein, Johannesburg. In addition to their already hectic schedule of trainings and projects, they now also had the opportunity to learn key documentary filmmaking skills, as well as to make their own short films. Some of the talented interns we got to work with at Livity Africa. Now while in the “agency world”, media makers are often inclined to use the best filmmaking equipment money can buy (or rent), and to create messages that suit their client’s objectives, in our workshops, as always, we placed emphasis on using whatever filmmaking tools are readily available (however humble they may be), and telling real-life stories from a personal perspective.